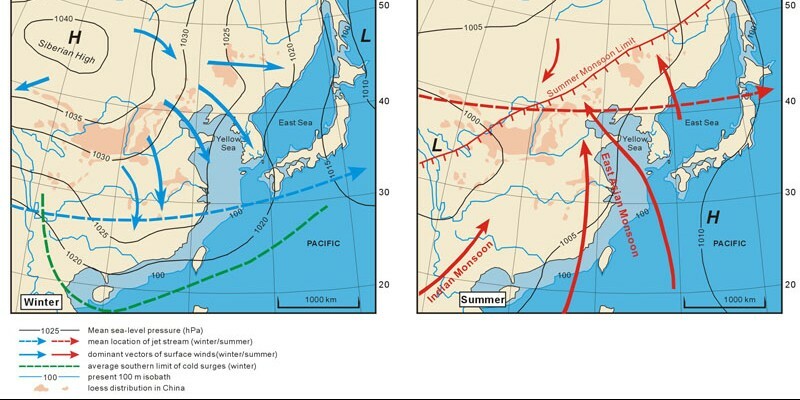 PREVAILING WINDS — The maps chart seasonal prevailing winds in East Asia. Peninsula, which eventually hit Taiwan from the east. Located in Asia’s wet subtropical zone, Taiwan receives 2.6 times more rainfall than the global average – yet it is nevertheless classified by the United Nations as an area of scarce water resources. This paradox is expected to be especially acute this year, as the current severe drought is causing farmers to fear for their spring harvest. Key high-tech sectors that require large quantities of water, including the semiconductor, TFT-LCD panel, and printed circuit board (PCB) industries, are also watching the situation carefully, since they are heavily concentrated in regions likely to be the main targets for water rationing. 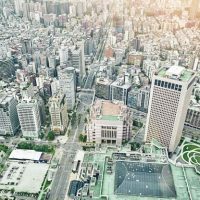 One potential solution to the water challenge would be the increased use of recycled water, but Taiwan’s extremely low water prices have discouraged investor interest in related infrastructure projects. In some years, Taiwan faces the opposite problem – torrential rains causing dangerous flooding, especially in mountainous areas. But that is not the current situation. It takes 2,000 to 5,000 liters of water, for example, to produce a single kilogram of rice, compared to 500 to 2,000 liters of water for the same quantity of wheat. “Because typhoons failed to bring sufficient rainfall in the past year, we’ve been controlling outflows from all reservoirs since September,” reports Lai Chien-hsin, chief secretary of the Water Resource Agency under the Ministry of Economic Affairs (MOEA). He notes that eight areas on the island – Banqiao, Xinzhuang, Taoyuan, Miaoli, Hsinchu, Taichung, Tainan, and Kaohsiung – are currently under Phase-1 water rationing, which entails a reduction in water pressure between 11 p.m. and 5 a.m.
PARCHED EARTH — The scene at Taoyuan’s Shimen Reservoir when affected by drought. Besides controlling water outflow, the Water Resource Agency has also been engaging in cloud seeding using either aircraft or small rockets. Lai says this technique should be able to increase rainfall in the target areas by around 10%, still not enough to make up for the shortage. Phase-2 restrictions, involving reduced or suspended water supply for irrigation purposes, have been implemented for Taoyuan, Hsinchu, Chiayi, Miaoli, and Taichung, leading to vehement protests from farmers who face the prospect of having to curtail production of certain crops. It takes 2,000 to 5,000 liters of water, for example, to produce a single kilogram of rice, compared to 500 to 2,000 liters of water for the same quantity of wheat. If the situation does not improve, the authorities have the option of imposing Phase-3 controls, covering industrial use, as well as Phase 4, reducing water supply to households. Only critical facilities such as hospitals would be completely spared from the restrictions. 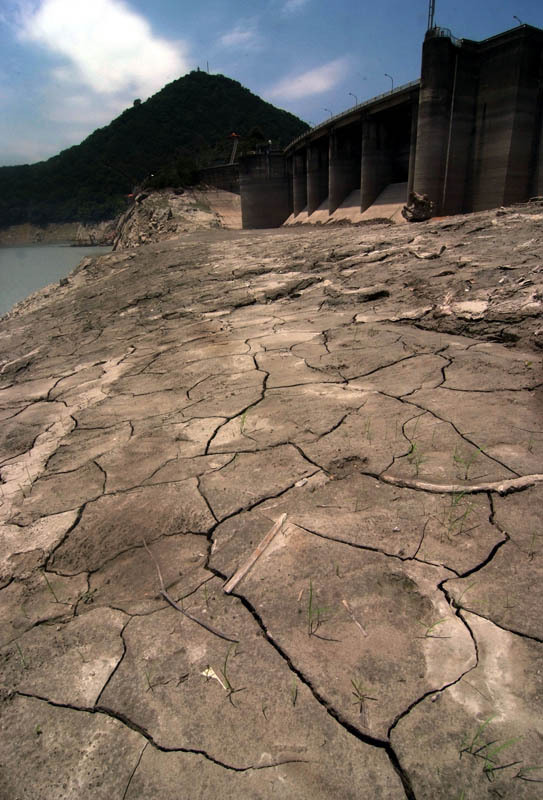 According to the Market Intelligence & Consulting Institute (MIC), the likely impact of the drought on Taiwan’s high-tech sector will be much less than for agriculture. In December, the government agreed to increase the amount of water from New Taipei City’s Feitsui Dam made available for high-tech manufacturers in the Hsinchu area. Lai says that all three of Taiwan’s science parks currently have a sufficient supply of water, and the government will next reassess the situation right after the Chinese New Year. MIC also notes that companies have learned a lesson from previous droughts. 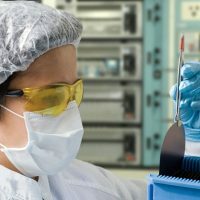 Citing an example of such precautionary measures, MIC says contract chipmaker United Microelectronics Corp. (UMC) has put greater emphasis on water recycling and wastewater treatment. Other companies, such as Nanya Technology, a manufacturer of dynamic random access memory chips (DRAMs), have built their own water reservoirs to reduce the risk from drought, according to MIC. The main reason for Taiwan’s water problem is the uneven seasonal rainfall distribution through most of the island (the northeast, including Taipei, is an exception). Whereas typhoons usually help fill up Taiwan’s reservoirs in the summer, they hardly ever appear between November and May. During those months, keeping sufficient water levels in the reservoirs depends on the arrival of sporadic cold fronts that typically last seven to ten days. As a result of this phenomenon, central and southern Taiwan respectively receive only 20% and 10% of their annual rainfall during the period from late autumn to early summer. Hsia cites the steepness of Taiwan’s mountain slopes and the shortness of its rivers as additional factors contributing to water scarcity, since even when rainfall occurs it tends to “escape into the ocean very fast.” But man-made factors also play a significant role. Illegal farms and other illicit economic activity in the mountain areas bring more landslides, washing loose soil into the reservoirs and causing severe sedimentation that reduces the capacity of the reservoirs for storage. The damage done by construction of illegal B&Bs and other tourism facilities in the mountains was shown clearly in the documentary film Beyond Beauty – Taiwan from Above. Mining firms conducting mountaintop excavations are often found to exceed volume caps and control measures. 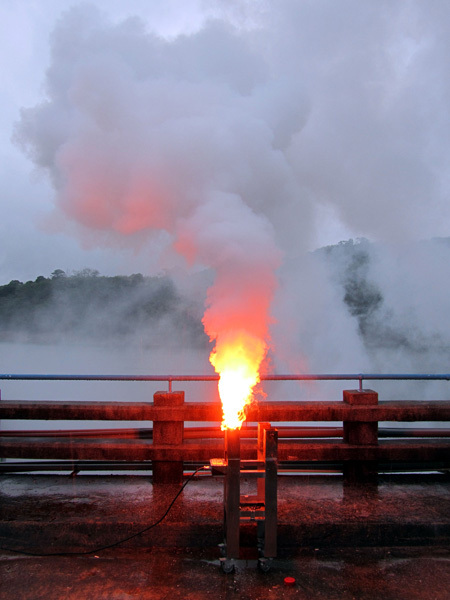 Cloud-seeding rockets containing calcium chloride being set off at Mingde Dam in Miaoli. Pollution exacerbates the challenge. 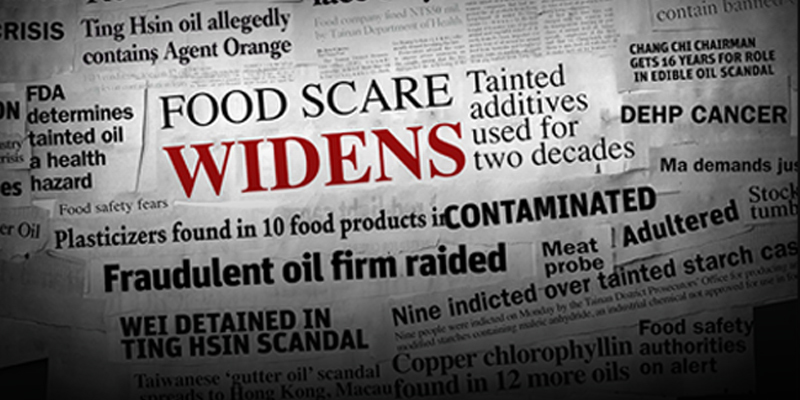 Due to rapid economic development that for decades has not been accompanied by investment in sewage systems, waste water containing industrial toxins as well as agricultural fertilizers and pesticides flow directly into Taiwan’s rivers and lakes, resulting in the widespread contamination of ground water. “We have 90,000 legal factories, thousands of illegal ones, and hundreds of landfills located near rivers, but only 4% of Taiwan’s territory is served by sewage systems,” says Du Yu, chief executive officer of the Chen-Li Task Force for Agricultural Reform, a group of university professors promoting sustainable farming. Because so much ground water has been contaminated, an excessive quantity tends to be pumped in areas where the water is cleaner. The resulting land subsidence destroys infrastructure and also spoils farmland as seawater intrudes on the lowlands during typhoons, leaving fields too salty for plants to grow. Some places in central and southern Taiwan have already sunk to two meters below sea level. Hsia elaborates that while water used for irrigation will soak into the ground, water diverted to industrial or urban use will eventually be discharged into the ocean, causing the ground water level to drop in the long run. 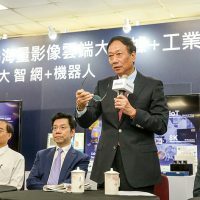 As an example of what he considers to be a misguided policy, he notes that the Southern Taiwan Science Park in Tainan was built in the Lee Teng-hui era “against all scientific recommendations” that reflected concern over the uneven water supply in that area. “They discarded all warnings because they wanted to balance economic development in the north and the south, which is purely a political issue,” Hsia says. Structural change may be coming, however. A plan to transfer the Water Resource Agency from the MOEA to a proposed new Ministry of Environment and Natural Resources is currently before the Legislative Yuan, but “will not necessarily be passed in 2015,” says the Water Resource Agency’s Lai. As mentioned above, increased pumping of ground water as a means of alleviating the water shortage is now being restricted because of the impact on land subsidence. The construction of new reservoirs is also not an option, due to the lack of additional suitable sites, nor is it feasible to carry water in pipelines from east to west across the steep Central Mountain Range. As long as Taiwan’s water prices continue to be among the world’s lowest, industries will find little incentive to switch to recycled water, which currently costs NT$17 per cubic meter, compared to only NT$10 for tap water, less than 10% of what most Europeans pay. NTU’s Lee maintains that the best option is the large-scale recycling of household waste water to make it suitable for industrial purposes. “There are eight projects under construction by the Water Resource Agency, which we hope can eventually recycle 50% of Taiwan’s daily wastewater output of 1.86 million tons,” he says. “Industry consumes 16% of our total water supply, and if we can replace that 16% with recycled water, it’d be a significant step in relieving the shortage.” According to the Water Resource Agency’s Lai, the first of these plants will be completed in Kaohsiung around the end of 2016. 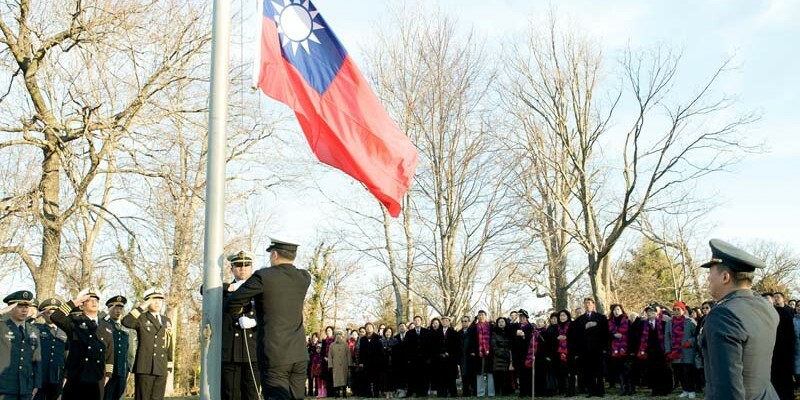 Lee stresses another weighty stumbling block – the cheap cost of water in Taiwan. He argues that as long as Taiwan’s water prices continue to be among the world’s lowest, industries will find little incentive to switch to recycled water, which currently costs NT$17 per cubic meter, compared to only NT$10 for tap water, less than 10% of what most Europeans pay. According to a rough estimate, Taiwanese spend 0.6% of their disposable income for water supply, compared to 1.3% for South Koreans and 2.9% for Japanese. This entry was posted in Behind the News and tagged editors, environment, natural resources, water. Bookmark the permalink. 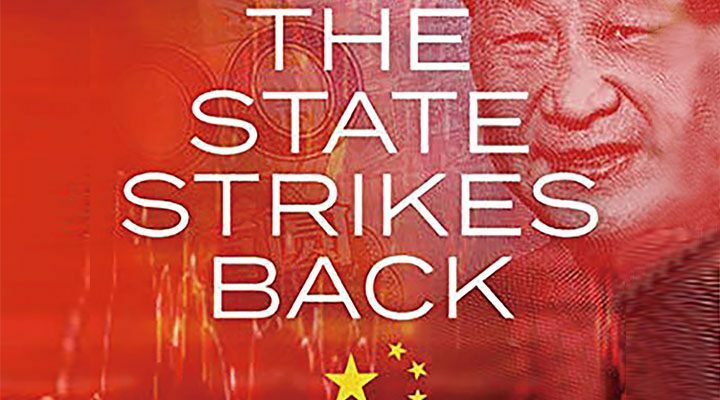 Jens Kastner, a Taipei-based freelance journalist, is a Contributing Writer for Taiwan Business TOPICS.